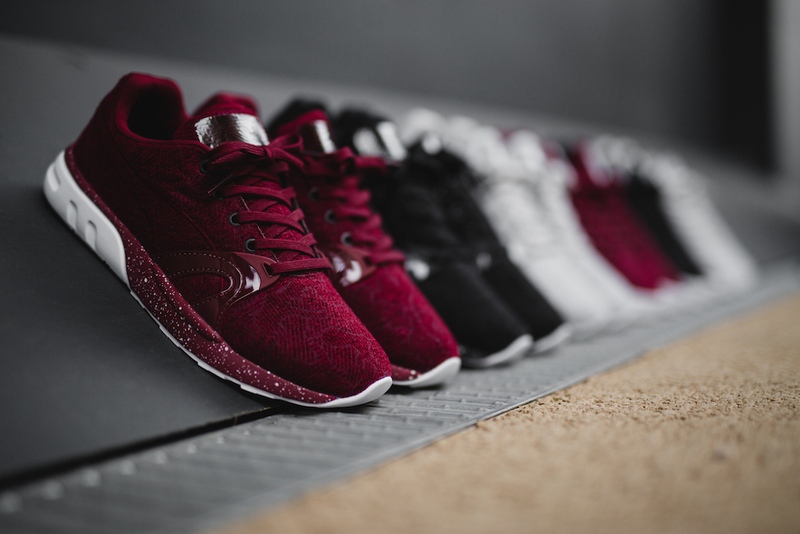 PUMA gave a textural spin to sneaker classics this season with the XT-S and Basket Woven Pack. The new collection takes its inspiration from an urban camouflage pattern using contemporary jacquard weaving to create a unique look. The XT-S, from PUMA’s archive running range, features a progressive fully woven piece upper as well as a see-through tooling which allows you to visualize the inner Trinomic technology. It features speckle detailing on the midsole as well as TPU lace supports. The Basket, a PUMA icon from the 70’s basketball era, is also tricked out in textural woven upper atop its signature grippy rubber sole. The XT-S and Basket Woven Pack comes in tone-on-tone colorways of Cabernet, Glacier Gray and Black and is now available in stores.